Let me know when you need this done by. Ironically I am attending a lecture at a fire station today, otherwise I would be getting my ideas outlined. I suppose the universe is telling me to get inspired. Decepticon Finishline has an idea to do a new list of all the Gen figures we want to see soon (chracters that dont have GHUG toys yet). I had done a list but since then we got many like all the Dinobots, Overlord, Blackarachnia, Skylynx and even Elita-1. So its time for a new list. Decepticon Finishline has some in mind, I myself would still include Terrorsaur (who was my previous number 1 pick). Any other character in need big time of an update? I am not looking for nice to have, I mean desperate need. Like how we felt about the dinobots. For G1, The Seacons, Horrorcons and Monstructor immediately come to mind. As for BW, Terrorsaur definitely. I'm hoping his MP will be next announced after BW Megatron. I'd also add Tigerhawk and BM Megatron/Grand Mal for this list too. Wouldn't say no to IDW Thunderwing either! Here's another idea for a list- Top 5 best historical/old-timey Transformer alt modes. ROTF Ransack, HFTD Highbrow, HFTD Hubcap...That sorta thing. Animated Jazz could fit with his quite 50s/60s esque car mode. Black Hat wrote: Here's another idea for a list- Top 5 best historical/old-timey Transformer alt modes. ROTF Ransack, HFTD Highbrow, HFTD Hubcap...That sorta thing. Animated Jazz could fit with his quite 50s/60s esque car mode. I like that. Top 5 Transformers toys with historical alt modes. Sounds fun. But are there enough? I mainly know the more popular media. So I fear that if I were the one writing this, I might end up being wrong. For instance, the fis that came to mind was Tigerhawk. But I dont know the club stuff. So it culd happen that I write him as number 1 and then the first commetn is : WTF Bro, Tigerhawk was so prominant in that Club storyline! Its a great topic, I just dont really know how to approach it as a list. I mainly know the more popular media. So I fear that if I were the one writing this, I might end up being wrong. For instance, the first that came to mind was Tigerhawk. But I don't know the club stuff. So it could happen that I write him as number 1 and then the first comment is : WTF Bro, Tigerhawk was so prominent in that Club storyline! Tigerhawk gave me the idea. Just thought of another list idea- Top 5 coolest Pretenders. Obviously the Pretenders weren't exactly sterling examples of toy design but some of the shells looked awesome. I'd be tempted to include Skullgrin (terrifying zombie bull demon), Submarauder (also terrifying Gigeresque merman monster), Cloudburst (out of all the Autobot Pretenders I probably like his shell the best, has a really nice "80s OVA" look to the armour), Bludgeon (because not only has he actually done stuff in fiction but let's be real, a skeleton samurai is AWESOME) and Thunderwing (great shell design and the most fictionally important Pretender ever). Black Hat wrote: Just thought of another list idea- Top 5 coolest Pretenders. Obviously the Pretenders weren't exactly sterling examples of toy design but some of the shells looked awesome. I'd be tempted to include Skullgrin (terrifying zombie bull demon), Submarauder (also terrifying Gigeresque merman monster), Cloudburst (out of all the Autobot Pretenders I probably like his shell the best, has a really nice "80s OVA" look to the armour), Bludgeon (because not only has he actually done stuff in fiction but let's be real, a skeleton samurai is AWESOME) and Thunderwing (great shell design and the most fictionally important Pretender ever). Sure! (Alternatively I could PM it to you if that's alright). I love contributing to these lists, they're a lot of fun. Black Hat wrote: Sure! (Alternatively I could PM it to you if that's alright). I love contributing to these lists, they're a lot of fun. Would that be different from an alt mode we would like to see list? ZeroWolf wrote: Would that be different from an alt mode we would like to see list? I guess it probably wouldn't be. "5 Alternate Modes we're Tired Of"
"5 Alternate Modes that No Transformer Should Ever Have"
Speaking of alternate modes, I had another idea: "Top 5 best Transformer toy Earth aircraft modes" for toys with very convincing, or just plain cool looking, air-based non-cybertronian vehicle modes (excluding helicopters). MP-03 would probably be the winner as his F-15 mode is an actual thing of beauty, but some other candidates IMO would be the ROTF Breakaway mold (which is a very clean F-35), the 2007 Dreadwing mold (aside from the "sensor pod" that forms the legs, he's a pretty accurate MiG-29 Fulcrum), ROTF Highbrow (whilst not a perfect approximation, he makes a really nice P-38 Lightning) and maybe ROTF Ransack (not only does he turn from a functional robot into a goddamn biplane, but said biplane mode is actually a surprisingly accurate rendition of an Albatros DIII, with only the arms being a major departure from the real aircraft. I'd pick Ransack over Divebomb as his colours are more period accurate, as AFAIK the Red Baron, Manfred von Richthofen, flew a Fokker DR1 Triplane). I'd be more than happy to help with that list, as I'm a big plane nerd and my knowledge of things with wings might be useful for selections/writeups. 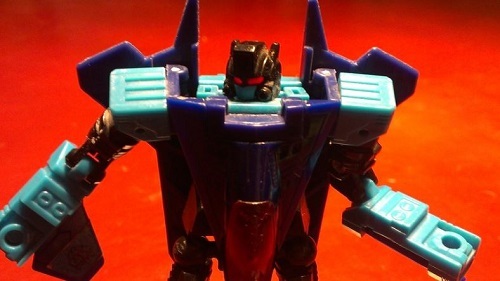 Black Hat wrote: Speaking of alternate modes, I had another idea: "Top 5 best Transformer toy Earth aircraft modes" for toys with very convincing, or just plain cool looking, air-based non-cybertronian vehicle modes (excluding helicopters). MP-03 would probably be the winner as his F-15 mode is an actual thing of beauty, but some other candidates IMO would be the ROTF Breakaway mold (which is a very clean F-35), the 2007 Dreadwing mold (aside from the "sensor pod" that forms the legs, he's a pretty accurate MiG-29 Fulcrum), ROTF Highbrow (whilst not a perfect approximation, he makes a really nice P-38 Lightning) and maybe ROTF Ransack (not only does he turn from a functional robot into a goddamn biplane, but said biplane mode is actually a surprisingly accurate rendition of an Albatros DIII, with only the arms being a major departure from the real aircraft. I'd pick Ransack over Divebomb as his colours are more period accurate, as AFAIK the Red Baron, Manfred von Richthofen, flew a Fokker DR1 Triplane). I'd be more than happy to help with that list, as I'm a big plane nerd and my knowledge of things with wings might be useful for selections/writeups. Would it be that different to this list? Well now I feel silly, I completely forgot about that list! Whoops! That said, this hypothetical list would be focusing on the vehicle modes themselves rather than the "complete package", but I do agree it's a little bit too similar perhaps. 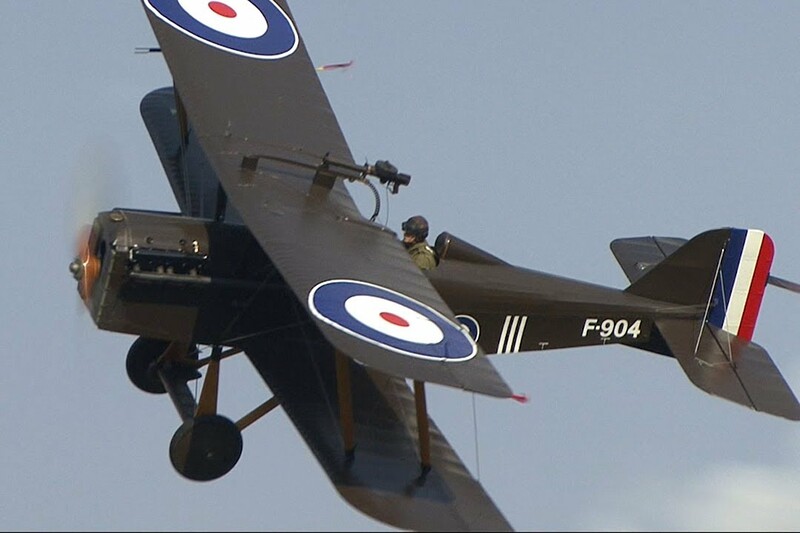 On a semi-related note, I really wish someone would give us a Royal Aircraft Factory SE5A Transformer, solely because that was the main rival of the Albatros (and thus Ransack) and it was also a really pretty plane. ...I'll shut up about planes now. Why does this only link to a .jpg file? It;s just a mistake, thanks for pointing it out. Its now fixed, I hope you like that list, its one of my favourites. 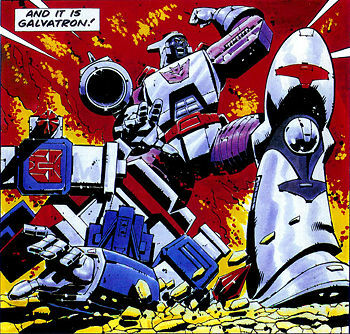 How about a Top 5 mythical beast Transformers list? I'd say it would make sense to limit the choices to TFs with alt modes based on actual mythical creatures rather than just any "original" fantastical monsters with no prior precedence- so Tigerhawk and the Fuzors, as cool as they are, wouldn't make the list due to being (AFAIK) purpose-made for Beast Wars. >RID Megatron (Take your pic but specifically I was thinking of his two-headed dragon mode). Honourable mentions go to Heinrad (tanuki), RID Bruticus (Cerberus, granted he isn't exactly a good toy but a Cerberus is an interesting idea) and the unproduced Manticore TF that nearly got made for the BW Telemocha series. Some of the Fuzors could loosely be based on Griffins, Manticores, Chimera etc Dragons and Unicorns are just the more obvious examples of mythical creatures. 4,517 pages were recently viewed by 904 unique visitors. This page was viewed 1 times on Saturday, April 20th 2019 7:53am CDT. © 2019 Seibertron, Inc. DBA Seibertron.com. All Rights Reserved. Established June 2000. Seibertron.com is owned by Ryan Yzquierdo.